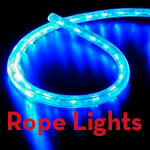 Sailor Sams has a large selection of Imtra's LED Rope Lights, LED Tape Lights and Accessories. Purchase in 1 foot lengths or 150 foot spools, and you can have attractive, low-profile LED Rope or LED Tape Light anywhere in your boat, home or RV. Marine quality lighting designed with boating in mind available in 12v, 24v and 120vac input and cool white, warm white, red or blue LED bulb options. 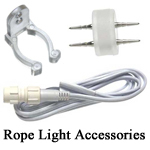 LED Rope Lights: standard, encased LED lights. Flexible and discrete, these attractive lights are ideal in locations where they can be hidden or seen. Neon LED Rope Lights: Blended light output, IP66 waterproof rope lights with the same quality of Imtra's standard rope lights and minus the visible bulbs when lighted. 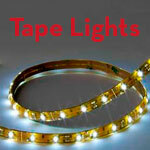 LED Tape Lights: super low-profile alternatives to the standard LED Rope Lights. These linear tape lights are encased in a clear epoxy resin that is able to fit almost anywhere on your boat. LED Rope Lights are great for under side marine lighting. LED Tape Lights provide low-profile boat lighting for the tightest marine spaces. 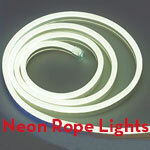 Neon LED Rope Lights: low power with smooth luminous output. Get your 12, 24 or 120 Volt Rope Light up and running without a hitch.